The two so-called liberation fighters EPLF and TPLF ,now in power, have had formed their bases on narrow identity and ethnic based selfish ideologues of scholars from their own ethnic groups.What in Eritrea and Ethiopia is practically experienced by the suffering mass while the few (ethnics of those in hold of arms ) indulge themselves , is the premeditated implementation of the opinionated and cynically despotic intellectual outputs of those few scholars of those days. One of these ”scholars” was Jordan Gebre-Medhin.Born on July 21, 1944 in Adi Quansi, Eritrea and a Northeastern University associate professor in African-American studies, he died in 2008.Gebre-Medhin left Eritrea in 1965 for more education. He earned his doctorate in sociology and anthropology in 1979 from Purdue University. Dr. Gebre-Medhin’s book, “Peasants and Nationalism: A Critique of Ethiopian Studies,” was the first major challenge to claims casting Eritrea as a subsidiary of Ethiopia, its neighbor in northeast Africa.The book provoked heated debate among political factions and drew favorable reviews from other scholars. This book and the rest of his works mainly informed and set as an agenda by external powers still remain to be the guiding philosophies of ethno-nationalist forces both in power and struggle in Eritrea and Ethiopia,especially TPLFites.Such devious scholars needed to be restudied their misguided and subjectively biased works need reinvestigation by stakeholders.Western philosophers take the highest share for toady’s racism and human inequality,so do biased and double agent Ethiopian and Eriterian scholars for the mess in the region and these two states. 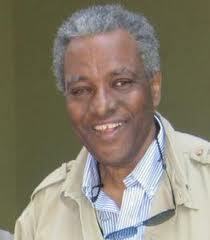 Jordan Gebre-Medhin, “On the 1993 Referendum in Eritrea”, Ethiopian Review,April 1993.